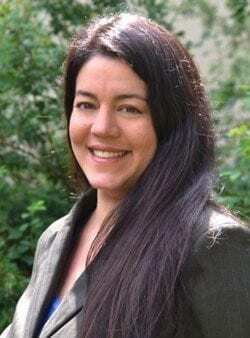 Heather Whiteman Runs Him is a staff attorney at the Native American Rights Fund in Boulder, Colorado, where she focuses on tribal water rights and natural resource issues. She previously served as Joint Lead Counsel for the Crow Tribe of Montana, where she oversaw and was additionally responsible for a wide variety of legal issues pertaining to intergovernmental relations, tribal land management, water rights, elections, health and social services, law enforcement, economic development, and general litigation issues. Prior to working with the Crow Tribe, Heather practiced in New Mexico as an Assistant Public Defender, and additionally worked as an associate attorney in private practice, serving tribal governmental clients on a wide variety of issues. Heather is a member of the Crow Tribe and grew up on the Crow Reservation, and received her Juris Doctorate from Harvard Law School. She received her B.A.F.A. with high honors in Art History, and with honors in Studio Art from the University of New Mexico in Albuquerque, and her A.F.A. from the Institute of American Indian Arts in Santa Fe, New Mexico. She is licensed to practice law before the State Bar of New Mexico, the District of New Mexico, and the Crow Tribal Court. See Heather’s resume to learn more about her experience and credentials.